Peer tutoring is a free resource available to all Haverford students. In the 2017/18 Academic Year over 100 tutors provided over 3,200 hours of one-to-one tutoring in 17 disciplines. 95% of students found their tutoring session to be useful, if not very useful; 97% found their tutor to be effective. Peer tutoring at Haverford is not remedial; it is supplemental. 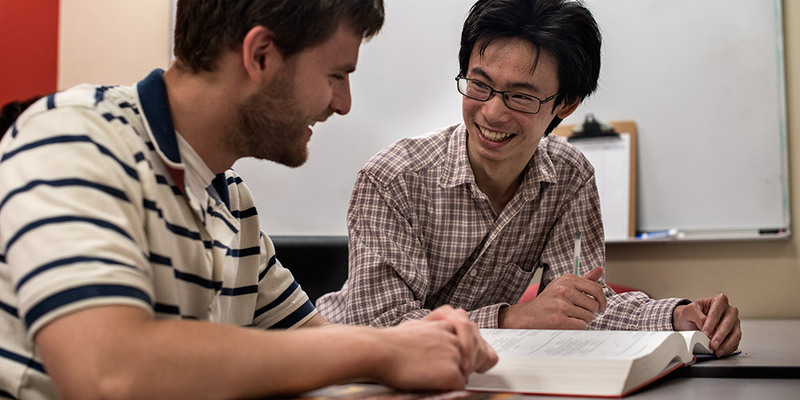 Many of Haverford’s tutors use peer tutoring! The goal of peer tutoring is to strengthen your foundational knowledge of a course or concepts and find new approaches to overcome the complexity. You can meet with a peer tutor at any stage in the learning process whether you’re challenged by the material or just need some accountability and someone to talk things through. Interested in a career in education? Want to give back to your community? Looking for a job for the fall? Become a Peer tutor!